There’s no doubt the enterprise network is becoming more complex: the Internet of Things (IoT) pumps data into the system, creating congestion on network lines. Cloud connections require better performance and agility, and adding branch locations adds configuration and troubleshooting costs. While all of these are serious concerns, the biggest complication for today’s networks is the increasing threat of cyber attacks. In response, many enterprise CIOs have two words on their minds: SD-WAN and security. These two words go hand-in-hand because software-defined wide area networking (SD-WAN) and security provide a solution to many of the most challenging issues in enterprise networks. The 2017 Wide Area Networking Strategies North American Enterprises Survey provides some insight into why SD-WAN and security are so frequently paired in the minds of enterprise IT experts. The survey’s results indicate that medium- to large-size companies are helping to drive the uptick in SD-WAN adoption, with 74% indicating they’ve conducted SD-WAN trials over the last year. Each deployment is claiming about $300,000 in IT budgets on average. The report shows there are many reasons why enterprises are implementing SD-WAN, including the growth of their company, the launching of IoT devices, a desire to have greater control over the WAN, and the need to cut costs on WAN. The biggest driver of SD-WAN adoption? It’s security, and there’s a big gap between security and the second most common driver. It’s no surprise that SD-WAN and security are becoming so closely linked. 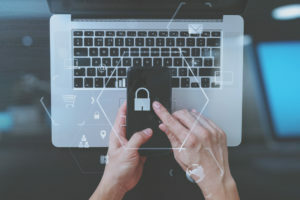 The number of cybersecurity threats multiplies every day, and enterprises are fighting the botnets’ efforts to derail their security with attacks numbering in the hundreds of thousands every day. As enterprises move more of their workloads into the cloud, it’s clear that there’s a greater need for more secure network management, because the security plane has been significantly expanded. When you add in IoT and the multiplication of endpoints, security must be the priority for the adoption of any new network technology. One of the benefits of SD-WAN in terms of security is the ability to segment out different types of traffic. For instance, the network engineer can keep IoT traffic separate from other applications. This eases the congestion caused by the added flow of data but also allows for the isolation and identification of a threat if a cyberattack is successful. In addition, SD-WAN offers centralized visibility and troubleshooting, which allows any problem to be quickly identified and addressed. If you’d like to talk more about SD-WAN and security and how you can protect your network, contact us at Wanify. We’ll help you select the right SD-WAN solution for your current business needs and future goals.